The Gold Membership and Blue Reward Card schemes return for the 2019 season and they're better than ever! The vital role that the fantastic Monarchs support play can never be overlooked and the Monarchs Gold Membership and Blue Reward Card initiatives aim to ensure that you are part of the team every step of the way this season. Gold Members will enjoy admission to 15 standard fixtures at Armadale Stadium in 2019, plus the very best admission prices for any additional matches staged. Gold Members will also benefit from a range of special offers from hospitality to items at the Club Shop and more! Blue Reward Card holders can look forward to preferential admission prices for every single match staged at Armadale Stadium in 2019. Special discount offers will also be available on a selection of items during the season and entry into a prize draw for a Monarchs Hospitality experience is included as well. 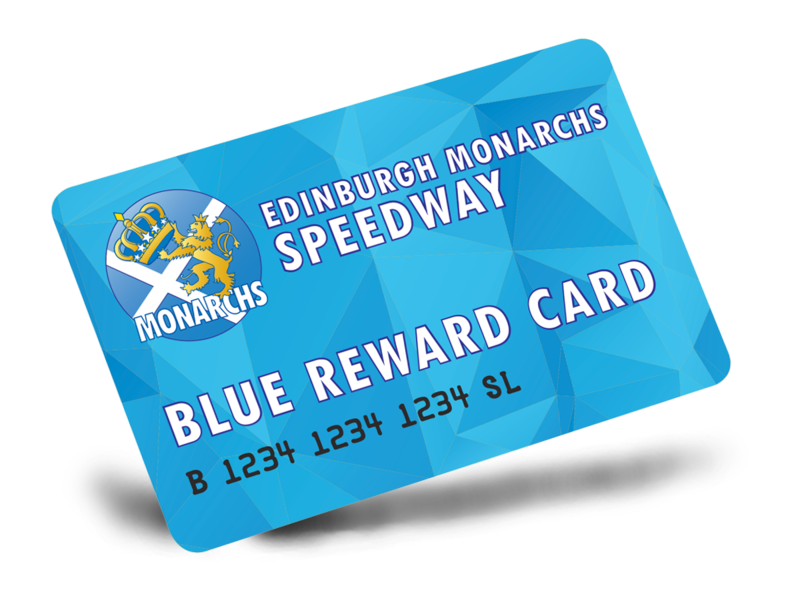 All of these benefits and more await those who sign up, meaning the Monarchs Gold Membership or Monarchs Blue Reward Card is your must have companion for the coming season of awesome speedway action at Armadale. Don't be without a Monarchs Gold Membership or Blue Reward Card in 2019! Compare both packages below, choose the right option for you and sign up now. 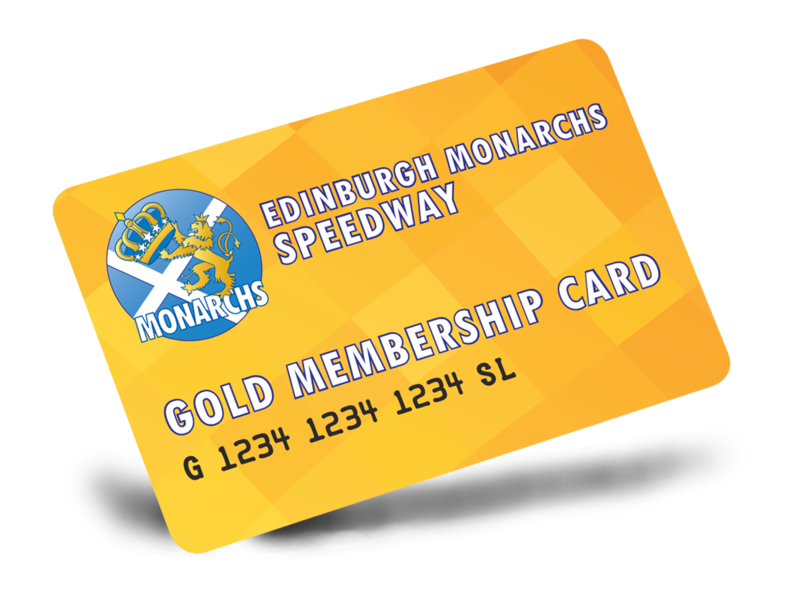 Best overall value for attending Edinburgh Monarchs Speedway, guaranteed! *Standard fixtures include 10 x SGB Championship fixtures, 3 x SGB Championship Shield fixtures, Knock Out Cup 1st Round and an additional match to be confirmed. **Available for use on each item once through the season.